Obsessively Stitching: Storage Cube TUTORIAL part one -- Assembly! Storage Cube TUTORIAL part one -- Assembly! I tried to squeeze all my photos and instructions into one post, but since I like to be extremely thorough with my photos and instructions, I think it will be easier to handle if it's split in two! NOTE: I tried to come up with a version that didn't involve binding, since I know that is scary to some people, BUT -- trust me when I say it's actually EASIER to do it with a binding! My non-binding attempt was very tricky to put together, and was a HUGE pain to finish. 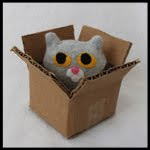 Don't give up on me, though -- read all the instructions. I really think you can do it! 4 - 6 5/8" x 3 1/4"
STEP ONE: Create your handles! 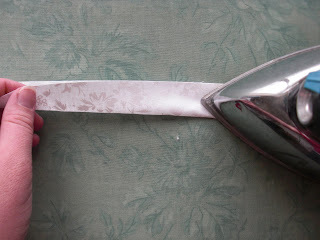 Lay a rectangle wrong side up on your ironing board. Turn the two short ends in 3/4" and press. 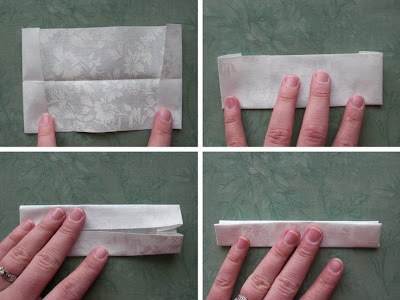 Fold with long edges together, press. Open and press two long edges in to touch center fold, press. Fold center line again, press. 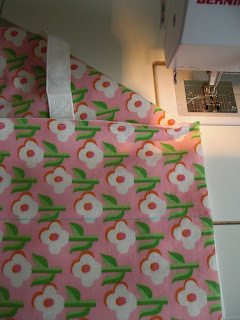 You will then topstitch the two long sides. STEP TWO: Prepare your binding. 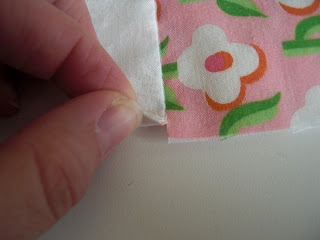 Fold your fabric strip wrong sides together as shown and press. 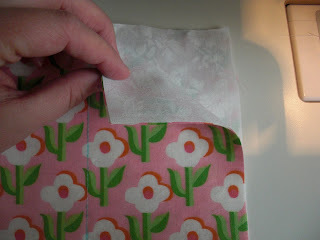 STEP TWO: On your main fabric rectangle, mark where your handles will go. I placed the top edge of my handles 2" down from the raw edge, and the sides 1 5/8" from the sides of the rectangle. 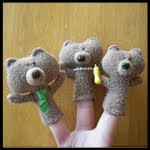 STEP THREE: Attach your handles! 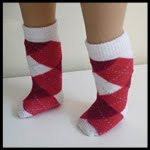 Start with one end and sew a square with an X in the middle. Repeat on the other end. 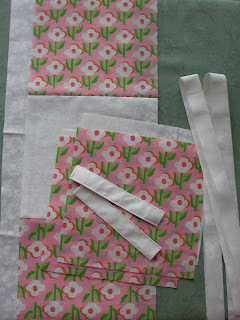 STEP FOUR: You now need to create the "pockets" for your stiff inserts. Layer your rectangles wrong sides together. 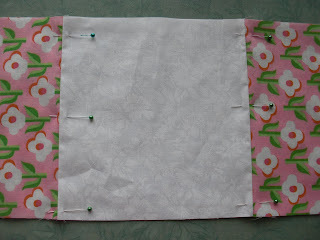 If yours looks like mine, you will be sewing a line directly between your squares. 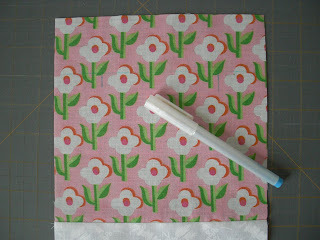 If not, you will mark 7" from either end with a disappearing ink marker and sew on your line. (I pinned mine to prevent shifting.) 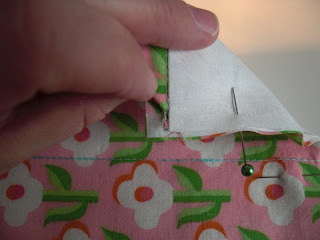 This line of sewing will prevent your stiff inserts from sliding down into the bottom of your cube. 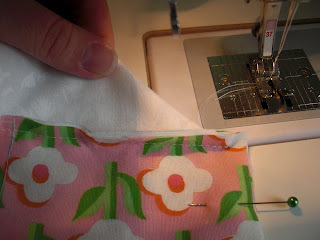 STEP SIX: Look at your layered rectangles: There are four spots you need to clip just barely under 1/4", as shown -- at the ends of each line of stitching you sewed in Step Four. All your prep work is now done -- You're ready to assemble your cube! 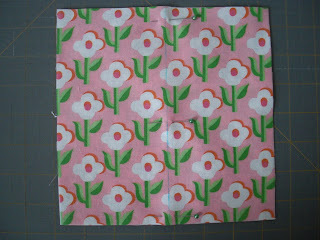 STEP SEVEN: Layer one of your squares lining sides together on top of one end of your rectangle. Pin. STEP EIGHT: Rotate your square so that the bottom edge lines up with the edge of your rectangle. 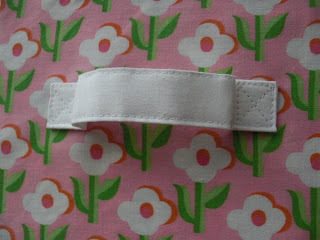 Here is a view of the back, showing why you clipped that seam allowance in Step Six. It's a little bit hard to see, but you have a 1/4" square missing there on the corner. 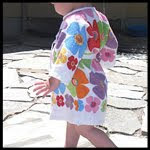 Be sure to pull the excess fabric out of the way, as shown, so it doesn't end up sewn into your seam. 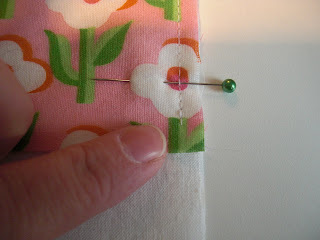 Pin and sew, stopping 1/4" before the end of your square again. Repeat Step Eight for the third side of your square. You will then repeat Steps Seven and Eight with your other square until you have a floppy little cube! Hooray, you're almost done! This is a great idea. I'm going to try it. The best thing is the many different colour possibilities within a low budget. Thanks for sharing! I am so excited! I love these things, but their SO expensive in stores! I'll have to try this...someday! 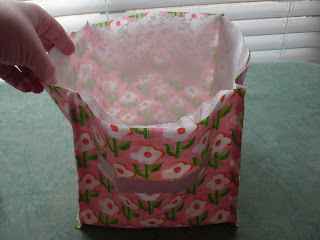 Fabric boxes are so useful for organizing, I like these plastik tiles idea, are they plastic canvas or what???? I think it's so cool that you are doing these--the fabric cubes are cute but the ones at Target, Dollar Tree, etc. and SO cheap the nylon is hardly fabric at all... And this way you can customize them for the exact size you need! Thank you! 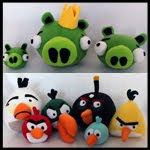 This blog post will be advertised on CraftCrave in the Handcraft category today (look for timestamp: [25 Feb 01:00pm GMT]). I'm in Love!! Thanks for sharing. I can always duplicate others ideas but never come up with them. Now those boxes from Target or other places with be off the list of 'want to buy' since I can get my hands on this lovely tutorial and much cuter material!! I have been looking for a tutorial on this forever!!! Duh, why did I never think to just sew my own? You rock! finding the size, color and price I want has been impossible. Thank you so much for taking the time to put this tutorial together, it's awesome! This is great! Thanks! I've tried a few similar designs in the past, but they were too flimsy. It looks like this one might work better, so I'll have to try it on day. I love this! Do you think the method you did will hold up if I made one about twice the size? We have one of those cubby bookshelves they sell at Target and their storage cubes get expensive! Let me know what you think. I'm excited! add me to the list, I love it too! I am wondering the same thing as Carrie above; do you think they will be strong/sturdy if enlarged? like say doubled or made into more of a rectangular shape?? oh my goodness...is that vintage Holly Hobbie bedding?! I had that set when I was a little girl. 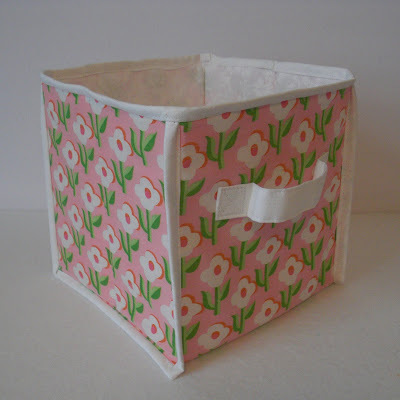 Wish I still had it so I could make my girls darling little boxes to store all of their treasures! :) Thanks for the tutorial and bringing back memories. Thank you so much for sharing! I love using these containers around the house to store toys and books for the kids and was just getting ready to write a post about it. 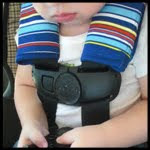 I'm linking up your post!